I've been playing with this recipe for some time now and T and I agree that this is the best batch yet! The shape of the chocolate really makes a difference; I love the odd disc-like shape of a Valrhona callet, but they are better suited for large chocolate chip cookies than for my bread. On your next baking adventure, I urge you to pick-up one of your favorite chocolate bars and crush it up into small pieces before folding it into your next batch of banana bread! The broken bits, add moisture, texture and of course flavor. 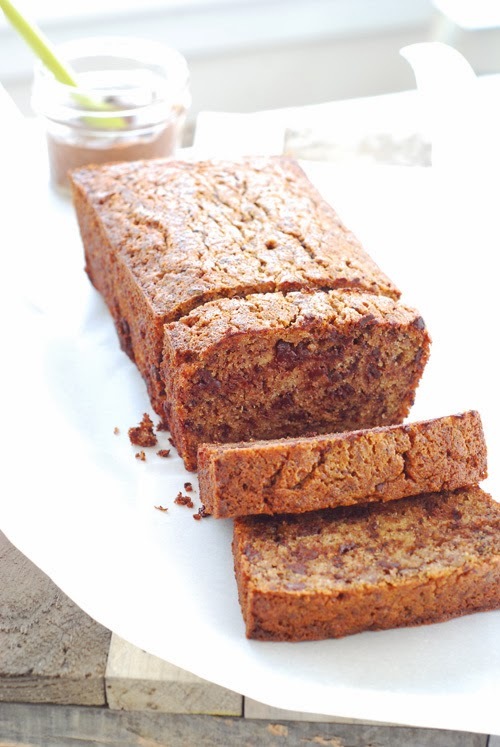 Here is a sneak peek of my GF Banana Chocolate Chunk Bread, it is a classic that will appear in my cookbook. Perhaps Mutant Tomatoes WILL Give Us Heat Vision!